Look out, Spotify: Google has officially announced a new music subscription service that takes advantage of YouTube’s vast collection of music and existing relationships with labels. The service, called YouTube Music Key, is a paid subscription service currently in beta, and you’ll need an invite to start using it. For early adopters, it will cost $7.99 per month with the first six months free, and eventually it will cost $9.99 per month, the same price as Spotify Premium. You get several features for your monthly subscription fee. YouTube Music Key’s banner feature is that it gives subscribers the ability to listen to music without ads, as well as run YouTube as a background app on mobile devices, allowing users to listen to YouTube videos while playing a game or locking their home screen. 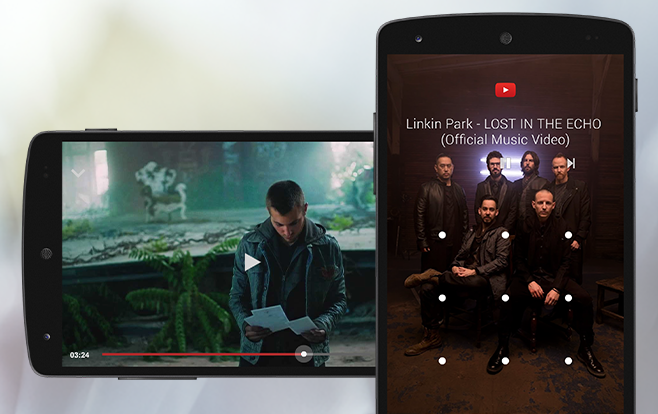 Subscribers will also be able to save songs and videos to their device for offline viewing. However, only officially licensed videos from the labels will be ad-free. YouTube Music Key will take the form of a new menu option in the YouTube app for Android, iOS, and the web that primarily shows music videos, playlists, and the songs you’ve played before. Soon, YouTube will add an option to see an artist’s discography on YouTube as well as an option as to play full albums, depending on which songs label representatives decide to upload. “In the coming days, you’ll be able to see an artist’s discography on YouTube, and play a full album with both their official music videos and high-quality songs our music partners added to YouTube,” according to the announcement blog post. It remains to be seen how YouTube Music Key will handle non-single songs that don’t have a music video. Fans often upload unauthorized versions, usually with lyrics instead of a video, but those are frequently zapped by copyright watchers, at least for big stars. For instance, there are Vevo videos for Rihanna’s singles from her last album, Unapologetic, but only an unofficial version for the unheralded album track “Lost In Paradise.” There aren’t album tracks from Taylor Swift’s 1989 on YouTube at all. YouTube Music Key won’t be Google’s only music subscription. Google Play Music All Access isn’t going anywhere, at least for the time being. There have been murmurs that that program will take the Music Key moniker as well, but for now it will remain a separate app, although it’s dropping the “All Access” off its name. However, one subscription will give you full access to both apps, and you can also play official YouTube music videos from inside the Google Play Music app. One of the biggest hurdles to setting up a service like this is agreeing to terms with label partners. [company]YouTube[/company] has had deals with the three major labels, Universal, Sony, and Warner, since earlier this year, and yesterday it was reported that Google signed a deal with a group, Merlin, which represents 2,000 indie labels. Previously, YouTube had threatened to takedown official music videos from labels that it hadn’t reached an agreement with, but the Merlin deal means that videos from artists like Adele and the Arctic Monkeys will stay on YouTube. In other news, YouTube comments remain a cesspool. Will non-subscribers still be able to access music videos on Youtube? Or will all “free” videos be removed? I believe that non-subscribers will still have access to the music on Youtube, but they won’t be able to make playlists that work in the background on their mobile devices.